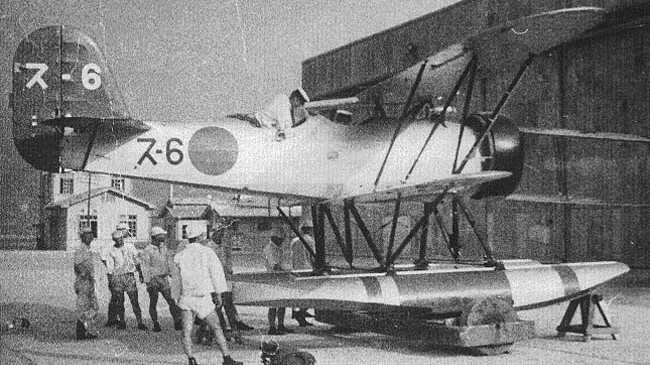 Japan had followed several other navies in attempting to develop small seaplanes to be carried on and launched by submarines. It was hoped that aircraft of this type could extend the scouting range of submarines, which were typically slower than other warships. In the early 30s the Japanese Navy developed the E6Y Type 91, which was used to gain experience with submarine operations. In 1934, requirements were issued for a new plane to replace the E6Y, and the Watanabe E9W was developed in response to these. The 9-Shi requirement for the reconnaissance aircraft specified a maximum take-off weight of 1,000kg, which would allow the aircraft to be launched from submarine catapults. An endurance of 3 hours was also specified, to give the aircraft a useful radius of action around the mother submarine. Watanabe assigned designer Riohachiro Higuchi as the lead engineer on the E9W project. The E9W was built with an all metal construction, with twin floats and a low powered but reliable radial engine. Separate compartments were built for the pilot and the observer, who was provided with a single flexible 7.7mm machine gun. The aircraft could be disassembled into 12 parts for stowage in a submarine’s tiny hangar, and an experienced crew could re-assemble it in around 40 minutes. Recovery from the surface of the sea and disassembly of the aircraft could be achieved in around the same time. 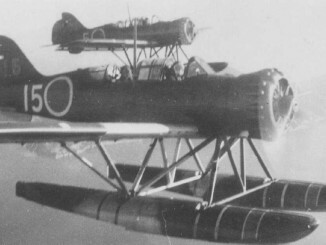 Watanabe E9Ws flew alongside the final few E6Ys during the China Incident to scout for ships attempting to run the coastal blockade imposed by the Japanese. Few ships attempted break the blockade so the little floatplanes rarely saw any action. Instead, E9Ws were used to scout Chinese port facilities and report on the comings and goings of shipping in and out of ‘neutral’ ports. When the Pacific War began, E9Ws were still present on several submarines and they were occasionally used to scout. The submarine I-7 launched a reconnaissance mission to scout Pearl Harbor following the Japanese attack. Upon returning to the I-7 the E9W crew decided to sink their aircraft and swim back to the sub rather than risk having the submarine on surface for too long. I-7 also used her E9W to carry out a reconnaissance flight over Ceylon and the Indian coast prior to the Kido Butai’s raid into the Indian Ocean in April 1942. By the middle of 1942 the E9W was largely being replaced by the more modern Yokosuka E14Y. 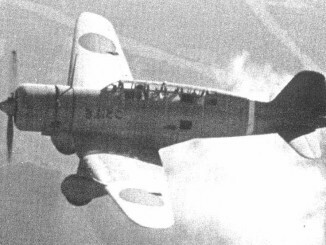 Six E9Ws were also supplied to Thailand, where they were known as Watanabe WS-103s. The E9W was assigned the Allied Reporting Name “Slim” in 1942.